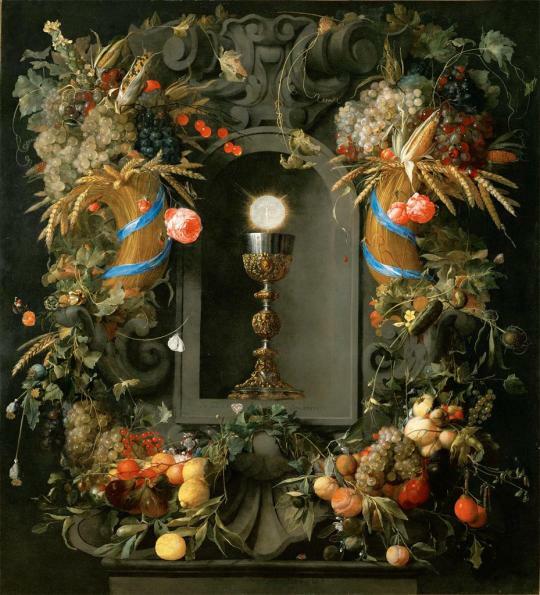 This Solemnity — the Body and Blood of Christ, Corpus Christi — originated in the thirteenth century. It was first established in the Diocese of Liege and Pope Urban IV extended the celebration to the entire Church in 1264. The heart of this feast is the consideration of and devotion to the real presence of Christ in the Eucharist. This feast was established to reflect in popular devotion, by prayers and hymns, what we believe about this Mystery of Faith. Our Lord and God is present in the Tabernacle, and it is there we must show Him our adoration and our love. This veneration for Jesus in the Blessed Sacrament is expressed in many ways – Benediction of the Blessed Sacrament, processions, prayer before Jesus in the Blessed Sacrament, genuflections that are sincere and conscious acts of faith and adoration and so on. The Church, and the world, have a great need of Eucharistic devotions. Jesus is waiting for us in this Sacrament of His Love. Today, especially has to be filled with acts of faith and love for Jesus present in the Blessed Sacrament. We could make a special effort this Sunday afternoon to attend the Parish Procession in which we take Jesus into our locality, asking Him to bless the inhabitants of this town and bring peace to homes and families. It is an opportunity for us to give a simple expression of our Catholic Faith in public. Friday is the lovely feast of the Sacred Heart of Jesus; the annual day of prayer for the sanctification of priests. Each year the Clergy of the Diocese together with our Bishop meet for a day of prayer and celebration of priesthood at Chigwell Convent. Please pray for us — especially our Bishop on the feast — that we may all advance in holiness and in a genuine desire to be good shepherds after the Heart of Christ. May God bless you all!